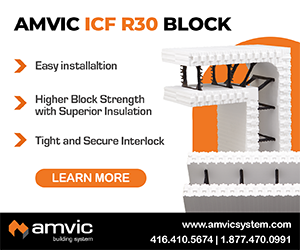 Why should architects and engineers specify ICFs? 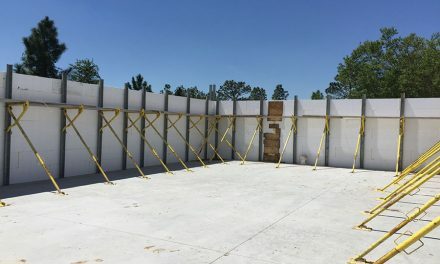 The common response from the ICF industry is “it’s Green” or “it’s more energy efficient” or any number of one-line answers we have all heard or used. But that’s not good enough. The ICF industry has become complacent in what it takes to get their product integrated into specifications throughout construction. How many jobs have we all had that started out as ICF, only to be flipped to frame during the design or pre-construction process? There is no way of knowing exact numbers, but I feel confident in saying that its much higher than projects that started as frame and switched to ICF. It all starts with the design. An owner can want it, a builder can request it, but ultimately if your design team is not on board, it will not see the light of day. In this economy, I have seen many design firms say and do what it takes to get the contract, even saying they have experience with ICFs when they have none. Experience and specifications are two completely different things in an architect’s office. What benefit does an architect get in specifying ICFs? What they get is added cost incurred to them. In these economic times, added cost is not what any of us want to incur. Added expense to a design professional? I will show several of the most common marketing bullet points used by the ICF industry and then from the architects perspective. Hopefully this will reveal what many are thinking, but probably are not saying directly to you. While those of us in the industry believe this, how about others? In the race for building material use, wood and steel frame are the most common building materials, with masonry construction following as a distant second. ICFs are only a very small piece of overall construction pie. Why? 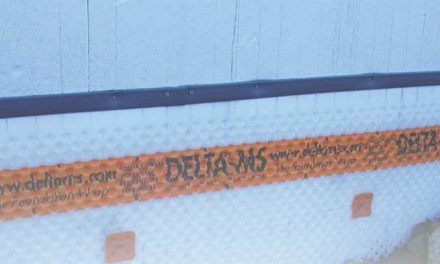 Because studs and CMU offer advantages ICFs can’t: a large pool of installers and codes geared toward their use. 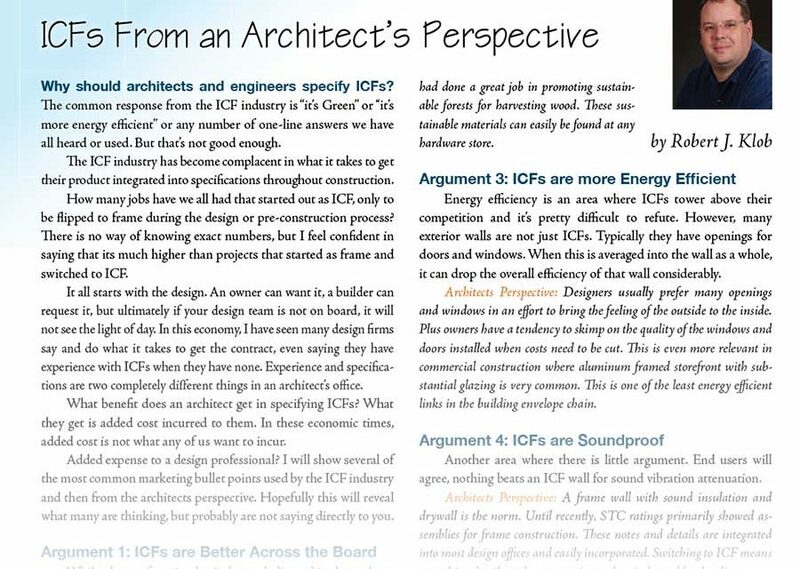 Architects Perspective: ICFs require more staff training to make the system work as intended. 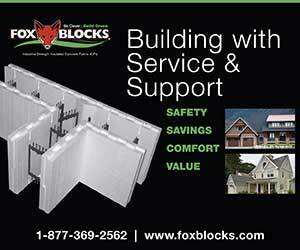 Plus, all plans, details, specifications and schedules have to be modified or redone to accommodate ICFs. Also, city officials, inspectors and sub-trades are typically not familiar with ICFs so they require more information and also RFI questions during construction. All of these things cost money that can rarely be charged to a client. This is typically true, but many times exaggerated. With some, the EPS is new and the webs are recycled. With others, it’s the other way around. Others are both and others are neither. Yet others have no webs and recycle EPS beads with concrete. Saying ICFs are green is painting with a very wide brush. Architects Perspective: Wood studs, steel studs and CMU can also be green. They are more widely known and accepted. The forestry service had done a great job in promoting sustainable forests for harvesting wood. These sustainable materials can easily be found at any hardware store. Energy efficiency is an area where ICFs tower above their competition and it’s pretty difficult to refute. However, many exterior walls are not just ICFs. Typically they have openings for doors and windows. When this is averaged into the wall as a whole, it can drop the overall efficiency of that wall considerably. Architects Perspective: Designers usually prefer many openings and windows in an effort to bring the feeling of the outside to the inside. Plus owners have a tendency to skimp on the quality of the windows and doors installed when costs need to be cut. This is even more relevant in commercial construction where aluminum framed storefront with substantial glazing is very common. This is one of the least energy efficient links in the building envelope chain. Another area where there is little argument. End users will agree, nothing beats an ICF wall for sound vibration attenuation. Architects Perspective: A frame wall with sound insulation and drywall is the norm. Until recently, STC ratings primarily showed assemblies for frame construction. These notes and details are integrated into most design offices and easily incorporated. Switching to ICF means reworking details and notes, again rarely reimbursed by the clients. Mother Nature has finally met a manmade material that can withstand many of her forces. Human life can be protected like no other. Few (if any) construction materials can make this same claim. Architects Perspective: A properly designed ICF wall system will withstand high wind, water and to a degree seismic activity. However, few ICF structures are designed as “Disaster Resistant Construction”. The walls are separate from the floor or slab and again from the roof structure. The wall might withstand a 200 mph wind and flying debris, but the roof will peel off like a banana peel. If the roof is gone, the contents inside are destroyed. Construction still has to start over in most cases. Fire is similar. 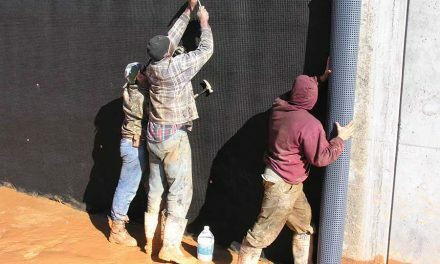 The wall will protect from penetration for a substantial amount of time, the concrete can become unstable under high heat and still have to be replaced after the fact. Both replacements are at a considerable cost. The manuals and details are a great way to get the ball rolling and a design team understanding how the systems work. Architects Perspective: Oh look, another book for our library! Another manufacturer that has developed CAD details that don’t match local construction techniques plus we have to convert each one to match our CAD standards and then catalog each one so we can find them if we ever use them again. Plus many are metric or have metric notations so each one has to be converted or notes deleted for jobs in the US. 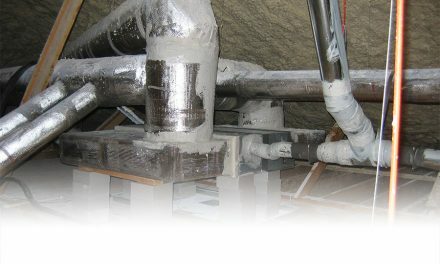 This is typical for nearly all ICF manufacturers. Manufacturers have either hired engineers to review their product or followed a national testing laboratory for their recommendations. While this is base engineering, it really has little to do with day-to-day construction engineering. Architects Perspective: We have to train our engineers to properly design and specify in order to keep the project under budget. The engineering that has been prepared by the manufacturers is done in another state or country, plus it has to be verified because the manufacturer carries little or no liability for the construction integrity. While the argument could be made that math is math, regardless of where or who does it, most states require an engineer be licensed in that state. An engineer’s seal from a manufacturer in Canada does little for job located in Kansas – and vice versa. This equates to more costs from the engineer that may have to come out of the pre-negotiated architecture fees. All is not gloom and doom – but the industry does need a reality check. Very few architects are going to be beating down the doors of an ICF manufacturer to specify their product. Manufacturers, distributors and installers have a vested interest in having ICFs specified. Architects don’t. Very few architects are paid any type of commission or have any type of incentive to specify ICFs. Furthermore, in large firms it’s not necessarily the firms’ namesake architect that specifies, it’s the project team. Those are paid employees and are only looking for the most efficient and cost effective way to design a project with the least amount of headaches. Ok, now that I have knocked the industry around, how do you get into the good graces of the architects and engineers? As a minimum, your sales staff should visit architects regularly. But how many actual relationships have been established? Relationships are the key to getting your product specified. Relationships are the key to getting your design manual out of the library and on the desk of the design team. Relationships are the best way to ensure your product stays with a project from day one and most importantly, into construction. The design team has the power to keep your product in when a client is trying to cut costs – or make it one of the first to go. Many companies feel that calling periodically and a lunch meeting a couple of times a year is building a relationship. It’s not. How would a personal relationship with a spouse work if all you saw of each other was two or three times a year? I agree that analogy is a loaded question; some might answer “great!” But the reality is that it wouldn’t work at all. Manufacturer reps need to stay in front of design teams. It’s also nice, especially in this economy, to promote those that are promoting you. Architects appreciate having trade partners promote their business and also bring in more business. They are much more apt to promote you if they are making money because of you. These relationships are not always about lunches, or commissions, it’s about building a bond where each side becomes an asset to the other. 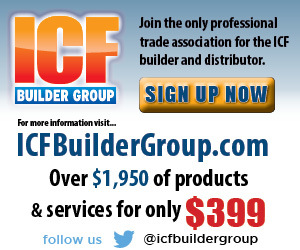 It sounds like common sense, but from personal experience, I have not talked to any ICF manufacturer reps where I didn’t initiate the call in over 6 months. I can count on one hand the number of brands that have promoted my firm in the last year with fingers left over. Those that know me, know that I promote ICFs every day and this has left me questioning those relationships that were once strong. If my firm is being taken for granted, what about the firms that are on the fence about ICFs? We have all cut back and had to streamline our businesses due to this economy. Design firms are no different. As I have said in my previous columns, by working together we will succeed together. With the current state of the construction industry no truer words could be said. In the end the success or failure of the ICF industry will come down to the Architects Perspective.